Rich Sr, the son of two adventurous Sicilian immigrants, has been a small business owner since his early teenage years. With over 46 years in the construction industry, he now finds himself working closely with his son Richie Junior in the growth of the business he started long ago. Rich Sr’s construction background initiated within one and two family rehabilitation projects throughout the five boroughs. From there, Senior moved his focus to private home building and condominium development on the east end of Long Island – where he found great success and forged lasting industry relationships. It was through these relationships that Rich Sr found himself as the primary contractor for Goldfarb Industries (one of the largest property holders and management groups in New York). Today, Sr’s passion urges him towards the revitalization of the communities he has lived in since his youth. Richie Junior started learning sales early, while attending customer appointments with his father at the young age of 5. From that point forward there was no separating the father and son team. Junior’s strength has always been found in his attention to detail and his natural ability to acutely understand client expectations. In 1992, when Junior completed his Business Management degree from Hofstra University, he solidified the foundation he needed to manage a growing business. 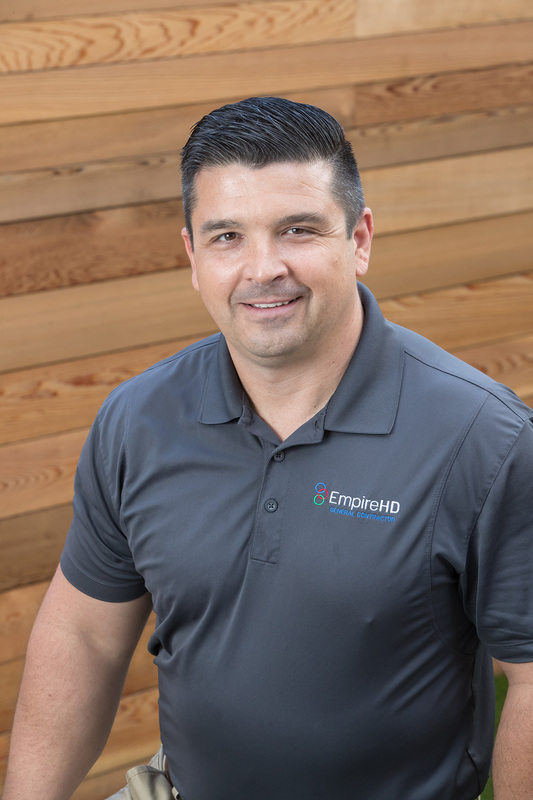 With a strong background in Commercial Rehabilitation, Security System Integration and Energy Conservation Methodologies, Richie Junior brings another facet to the EmpireHD company resume. 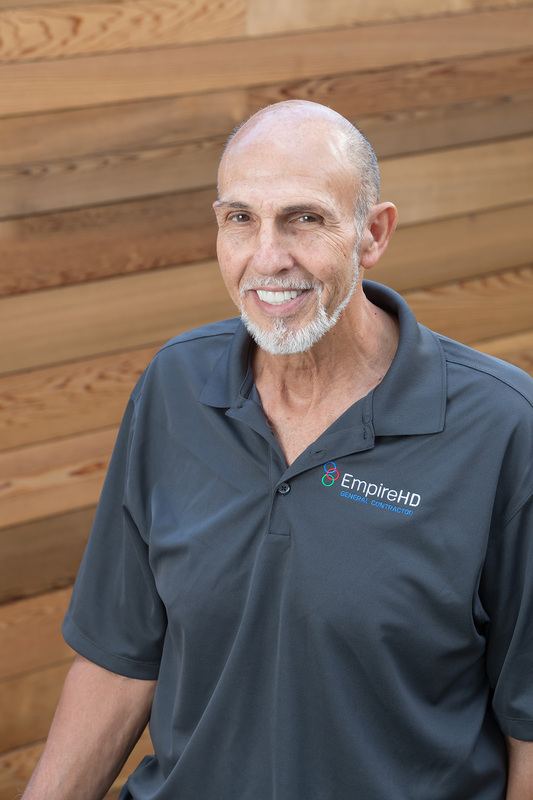 As a member of the EmpireHD team since 2010, Vinny brings over 30 years of construction management experience. As our Senior Project Manager and a registered DOB Construction Superintendent, Vinny consistently leads multi-discipline teams in the successful completion of our most detailed projects. Vinny’s strong communication skills and extensive knowledge of the construction business make him a vital member of our management team. Vinny holds an Associates of Mechanical Engineering from New York City College of Technology and a Certificate for Plan Reading & Project Superintendent from Bergen Community College. Marjorie has worked in the construction industry since 2014. Prior to joining EmpireHD, she worked in accounting and finance for over sixteen years. In her role as Operations Manager, Marjorie oversees the day-to-day operations to keep the business side of EmpireHD running smoothly. Strategic planning, scheduling, purchasing, administration and field coordination are just a few of her strong areas. 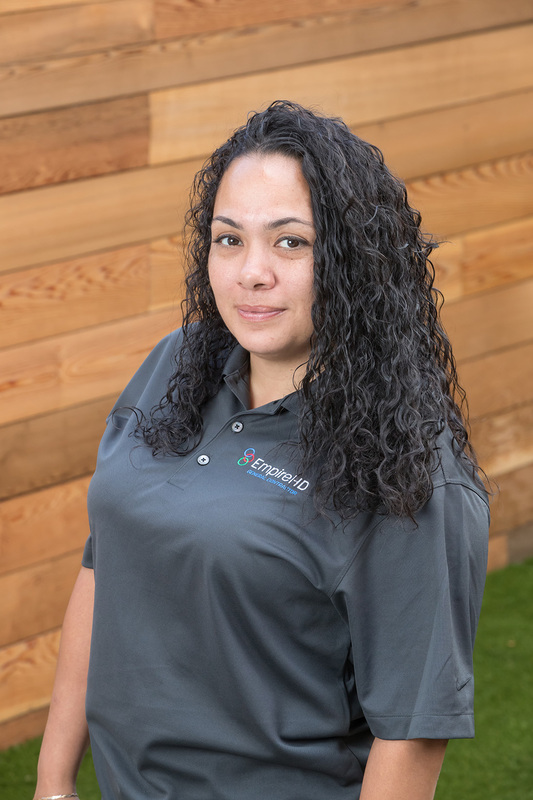 Since joining EmpireHD, Marjorie has balanced her tireless “bull-dog” style for getting things done, with her sunshine personality… and proven how she is an indispensable member of our team. Linda brings over twenty years of administrative and real-estate experience to EmpireHD. Based out of our North Carolina office, Linda provides executive support to the team and ensures that our Wake Forest office continues to run smoothly. 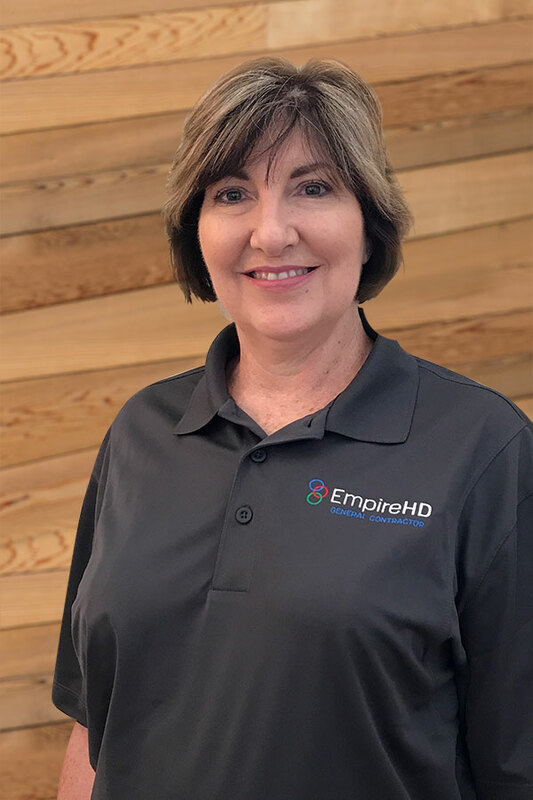 While overseeing the company’s proposal preparation, payroll processing, project tracking and prevailing wage reporting, Linda maintains the high level of detail required to keep EmpireHD within compliance. And with her real-estate appraisal and broker background, Linda adds a unique strength to our dynamic management team. 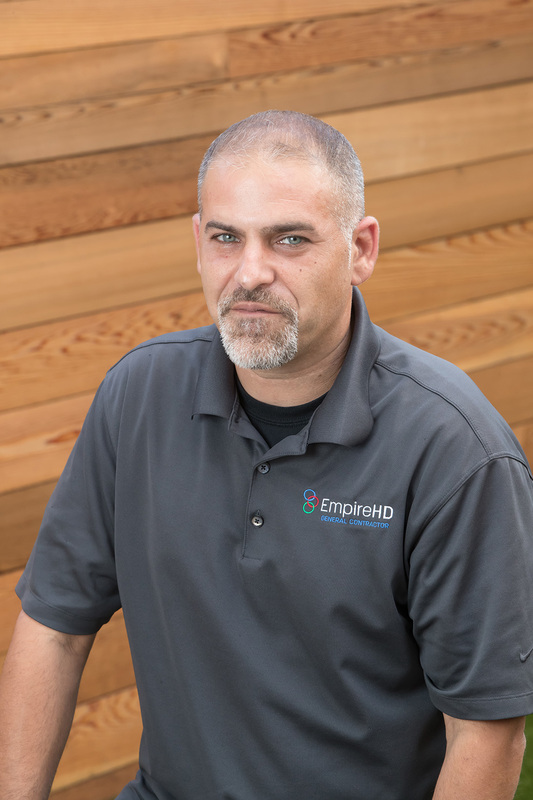 Rob, with over 15 years of experience in the construction industry, has been a member of the EmpireHD team since in 2014. 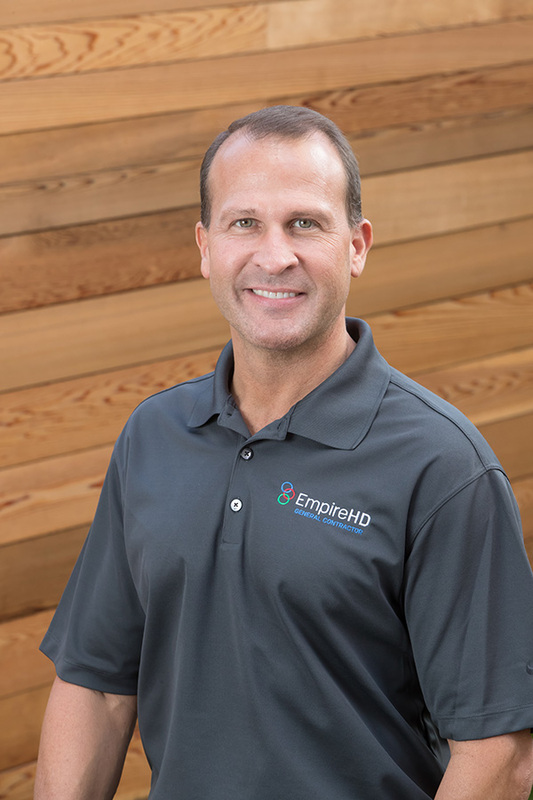 Since his early years, Rob has always been a quick learner and now finds himself overseeing multi-million dollar projects with precision and care. As a strong Project Manager, Rob is responsible for the overall performance and the success of many of our projects. His role as PM involves client liaison , design team coordination, subcontractor oversight, construction crew scheduling and material takeoffs… all important facets in the support of a successful project.